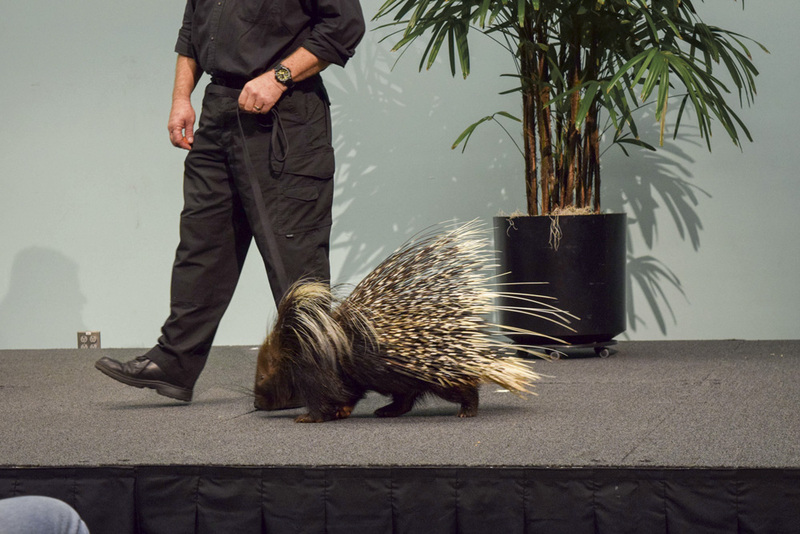 Corwin Pavilion was filled with an African porcupine, a bald eagle and a grey fox, in addition to excited students this past Thurs., Feb. 11, as part of All Hall Zoo: Zoo to You, sponsored by the University of California, Santa Barbara’s Residence Halls Association and The Hub. 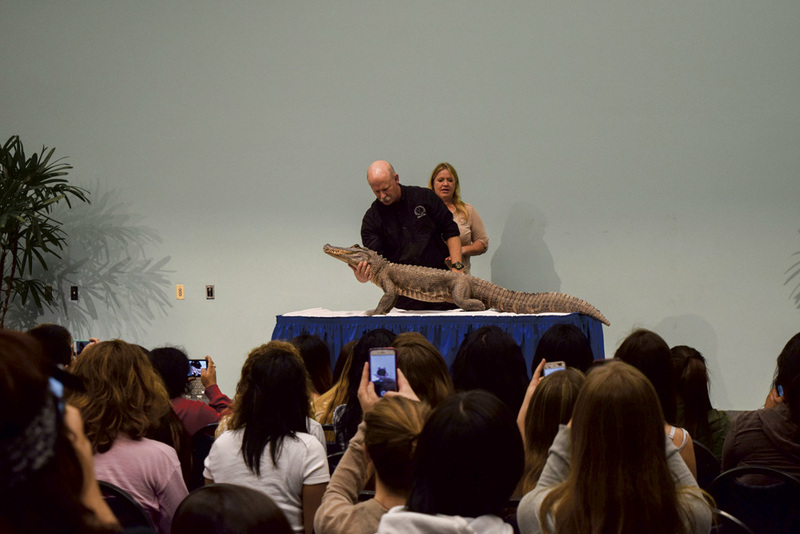 Students got to connect with wild animals brought by the Conservation Ambassadors while learning about the natural world. “Jill Singletary from The HUB has wanted to put this event on for a while now, and RHA saw this as an opportunity to help educate residents on environmental topics while still creating a fun and engaging environment,” second year undeclared major Representative at Large of RHA Ciara Wong said. 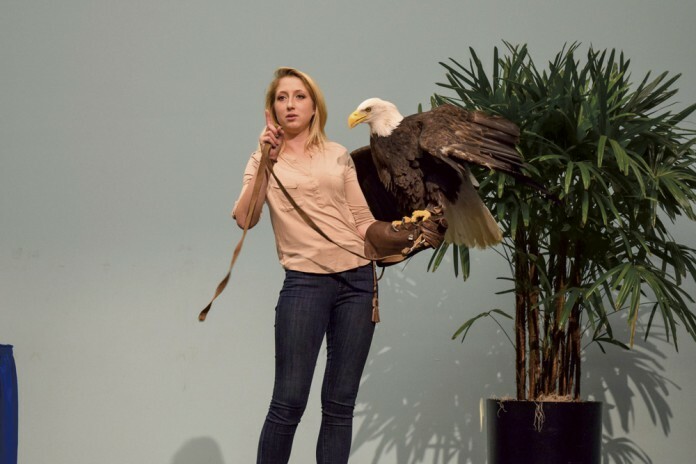 The event showcased different animals in front of the audience rather than a traditional interactive zoo format. The night started off with a Harris’s hawk flying over the unsuspecting audience. Other animals were brought out onto stage including Forest the grey fox; Seneca the bald eagle; Morocco the African crested porcupine; Bacari the black and white ruffed lemur; Hopalong Cassidy the Kangaroo and her joey named Sydney; and Spike the American Alligator, who was found in a bathtub of a house that was being raided on the suspicion of drugs. Angeles gave a brief history along with each animal that was presented. “Once the animals come and live with us, we really only teach them one thing, and that is to be calm and comfortable around people,” Angeles said. “We did arrange the date of the show to be during the end of midterms for most people as a nice way to relax and celebrate everyone’s hard work,” Wong said. 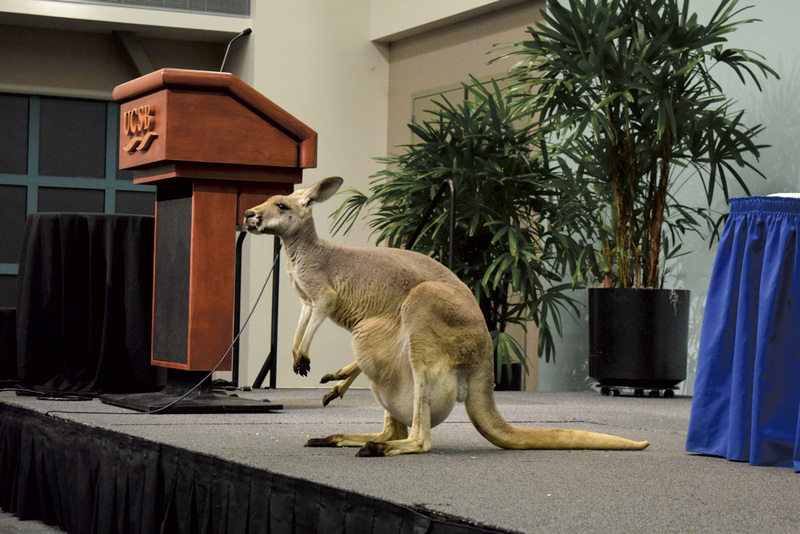 Forgetting about midterms was an easy task between seeing the joey peek out its kangaroo mother’s pouch, collectively trying to scare a porcupine and taking plenty of photos for social media.